Building information modeling (BIM) software is a tool that allows for reduced construction cost and speeding up construction projects. BIM has the potential to avoid mistakes if a genuine planning effort between team members is carefully reviewed and shared. BIM software can break down components of the job and provide a better understanding of the construction project that can be implemented by contractors and subcontractors. When used appropriately, BIM can reduce construction time, costs, and claims. However, as with any tool, problems may arise when BIM is not carefully shared and explain to all construction members. One important issue when implementing BIM as an integral part of your project is the collaboration between everyone involved during the construction stages. While architects can use BIM to generate a great building model that reduces costs and materials, if the general contractor (GC) is not in on the plan, then claims and problems will arise. Once the BIM has been developed and distributed to the project members, careful precautions must be taken to reduce the possibility of subsequent changes or alterations by unauthorized parties. The risk of changing a BIM model has become a recent issue on large construction projects where several consultants and contractors try to complete changes to get their own benefit without sharing the ideas to the entire group. A team leader must be assigned and will be the only authorized user who can alter the BIM model. Who should hold liability if the building fails to comply with the latest construction codes? There is a thin line between responsibilities since each party has participated in planning stages, revisions and input to the BIM model. In some instances, legal issues could become triggered by claims presented by the GC, due to misrepresentation or faulty designs. These types of errors could represent additional legal fees that were not contemplated in the original contract, reducing or minimizing the savings generated by the BIM process. While BIM implementation on construction projects might present an idea of the total expected construction costs, they may not reflect the real cost. BIM allows you to estimate the most accurate building cost-to-complete, but it will not consider actual price variation from emerging market like metals and petroleum-derivative products, politically-vulnerable commodities such as oil, and uncontrollable events like natural disasters. The BIM team leader must be a technology-wise individual. BIM group members must be able to freely communicate their ideas. Responsibilities need to be clearly assigned. Every team member must know their role and limitations. Ensure your contractors can build using BIM. Unfortunately, BIM is not made for everyone. Discuss with your insurance agent all related issues that can arise from malpractice issues and under-performing related issues. Use clear and specific contracts that can identify all possible hazards and their liabilities. 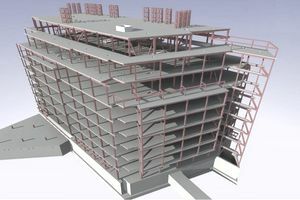 Using BIM in construction projects has become the norm and a requirement for some US federal agencies. BIM can also be used with the Integrated Project Delivery system to minimize claims and potential issues. Some key specific legal clauses can also be incorporated into the construction and design contracts. As with BIM, good communication between team members is the key to success when using BIM-IPD in your construction project.